To end the year at ACP, I could think of nothing more fitting than the introduction to the John Adams miniseries on HBO, a repeat for this blog. Someday I will post a full review, but suffice it to say that it is the best dramatization of a historical period that I can recall seeing. The music and the revolutionary flags in the intro I have always found deeply moving. I had an ancestor die at Bunker Hill fighting in the New Hampshire militia, and to me the American Revolution never has been simply a matter of facts and figures, all contained within the neat bookends of the years 1775-1783. I approach the American Revolution as a devoted partisan of what the Founding Fathers sought to accomplish. Those men set in motion powerful historical forces and, in many ways, the American Revolution is still an ongoing process, here and around the globe. As we end the year 2009, and prepare for the triumphs and tragedies of 2010, it might be a good idea to take a moment and recall that much of what we are today was determined, and will continue to be determined, by the political and military battles waged so long ago. For my sins, no doubt, I have been an attorney for 27 years. 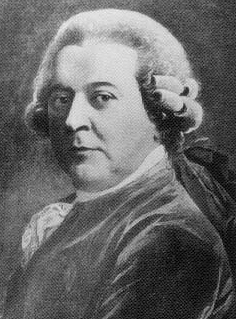 Few closing arguments by a lawyer have been better reasoned or more eloquently delivered than the closing given by John Adams in his successful defense of the British soldiers accused of homicide in the Boston Massacre of 1770. It should be read by all attorneys and by anyone interested in effective oratory and tight reasoning. I don’t do New Year’s resolutions, but I am going to try to make it my mission to post more regularly in general, but also to get through the Federalist Papers in a timelier manner, otherwise this series of posts will have occupied more time than the actual writing of the papers. Anyway, with Federalist 25, Hamilton returns to the topic of national defense. Previously he argued that the federal government was the proper place for the power of defense to be lodged. In so doing, he rejects the idea that the states could handle this important duty. I believe one of my blogging colleagues is hard at work on a post regarding Napoleon and America. The shadow of the Little Corporal loomed large over America in life, and his impact on American miltary strategy continued long after his death. However, this post will deal with Napoleon and the only historical figure I believe to have more books written about Him than Corsica’s favorite son, Jesus Christ. Something for the weekend. Renee Fleming gives a superb rendition of What Child is This. Written in 1865 by William Chatterton Dix after a near fatal illness, the hymn gently reminds us of why we celebrate Christmas. The babe, the son of Mary!. on December 26, 2009 at 7:05 am Comments Off on What Child is This? The next night being lodged at Kecoughtan; six or seaven dayes the extreame winde, rayne, frost and snow caused us to keep Christmas among the Salvages, where we were never more merry, nor fed on more plentie of good Oysters, Fish, Flesh, Wild-foule, and good bread; nor never had better fires in England, then in the dry smoaky houses of Kecoughtan. Smith was referring to the traditional keeping of Christmas for 12 days, as he and his men did not reach Kecoughtan until December 31, 1608. Unlike their pilgrim and puritan brethren who would come to the shores of the New World later, the men and women of the first colony had no problem with celebrating the Feast of the Nativity, with feasting, games and good cheer. May all of our readers have the Merriest of Christmases today. George Washington was a happy man on Christmas Eve 1783. Having led our forces to victory in the American Revolution, surrendered his command to Congress, after having headed off an incipient mutiny by his officers justly frustrated by an uncaring Congress’ failure to live up to promises made to them and the men they led, and a triumphal progress on his way home, during which he continually spoke out for the necessity of a strong Union among the states, he had reached his heart’s desire: home. Christmas the next day was probably the happiest in his life. May all of our readers have such a Christmas tomorrow. 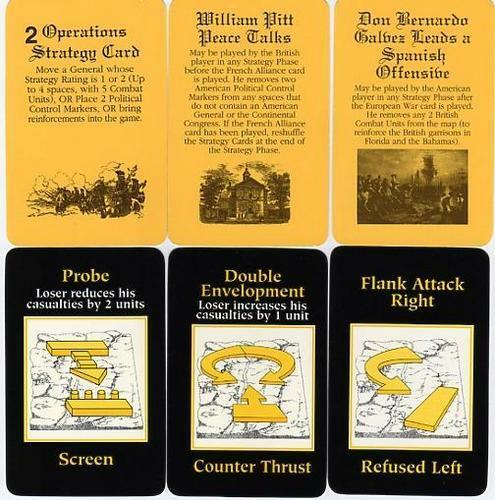 It is getting rather close to Christmas to be giving gift ideas, but if you have a child or an adult you are buying for who loves history and likes games you might wish to consider a card driven historical game.